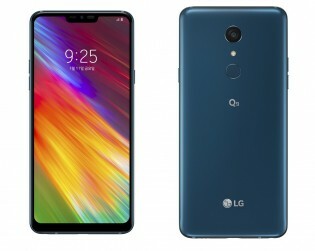 LG reintroduced the G7 Fit as a new entry into the Q-series  meet the LG Q9. The spec sheet is virtually identical, save for new color options. This phone is aimed at students and will cost KRW 500,000 in South Korea ($445/390). The standout features of the phone are its multimedia capabilities and its durability. It features LGs trademark Quad DAC for high-quality wired audio and a powerful Boombox speaker if you want to play the music loudly. It goes without saying that theres a 3.5mm headphone jack (theres an FM receiver too). The 6.1 screen is pretty special too, its sharp thanks to its QHD+ resolution, but its headlining feature is the 1,000nit daylight visibility mode. The screen is HDR10-enabled to boot. The LG Q9 is waterproof (IP68) and drop-resistant (MIL-STD-810G). The phone is available in Carmine Red, New Aurora Black and New Moroccan Blue. The Q9 is powered by a Snapdragon 821 chipset, running Android 8.1 Oreo. It supports LG Pay and features a dedicated Google Assistant key. The memory configuration is 4GB of RAM and 64GB storage, plus a microSD card slot. Theres a fast USB-C 3.1 port at the bottom that also supports Quick Charge 3.0. The battery has 3,000mAh capacity. The phone has a single 16MP camera on its back (and a fingerprint reader below it), plus an 8MP selfie camera in the notch on the screen. The LG Q9 will launch on the three big Korean carriers on July 11 (school begins in late August).